‘Princess Charlene De Monaco’ of Meilland International claims 3 awards at the 2018 International Biltmore Rose Trials: ‘Most Outstanding Rose’, ‘Best Hybrid Tea’, & ‘Most Fragrant Rose’, the 2nd ‘Best Hybrid Tea’ for Meilland since ‘Francis Meilland won in 2014. ‘Princesse Charlene De Monaco’ (Meidysouk), a hybrid tea rose bred by House of Meilland in France, and distributed by Star Roses & Plants, took home the George and Edith Vanderbilt for Most Outstanding Rose of the trials. The winning rose was among a collection of roses planted for trials in 2016 in the western border of Biltmore’s historic Rose Garden. Since 2011, Biltmore’s Rose Garden has been home to the trials in which nearly 200 varieties from growers and breeders worldwide have been planted and cared for by Biltmore’s expert horticulturalists. 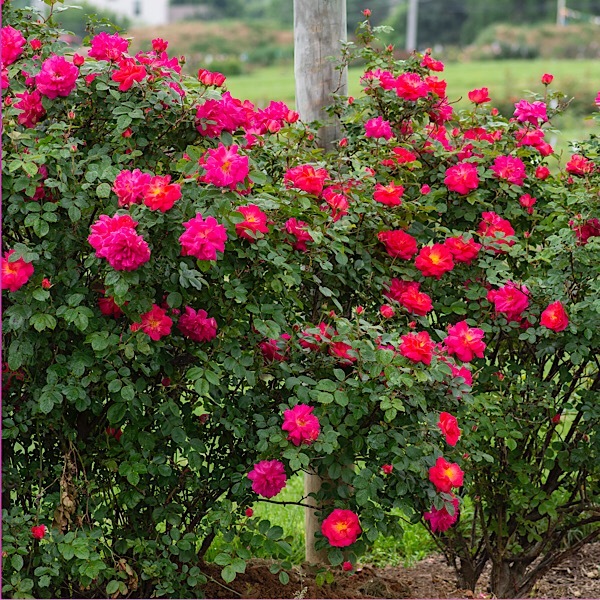 A permanent jury of rose experts judged the plantings four times a year during the trial’s two years. In addition to winning the Best in Show Award, ‘Princesse Charlene De Monaco’ won the Cornelia Vanderbilt Cecil Award for Most Fragrant Rose, and the Pauline Merrell Award for Best Hybrid Tea. Oso Easy Urban Legend (R. ‘ChewPatout’), bred by Chris Warner of Spring Meadow Nursery, winner of the Lord Burleigh Award for Best Disease Resistant, and the Chauncey Beadle Award for Best Shrub Rose. Highwire Flyer (Radwire), bred by William Radler of Star Roses and Plants, winner of the Gilded Age Award for Best Climbing Rose, and the William Cecil Award for Best Growth Habit. ‘Shining Moment’ (Radshining), by William Radler of Star Roses and Plants, winner of the Edith Wharton Award for ‘Best Floribunda’. Roses competing for this year’s titles came from breeders based in the U.S., France, Great Britain and Germany. 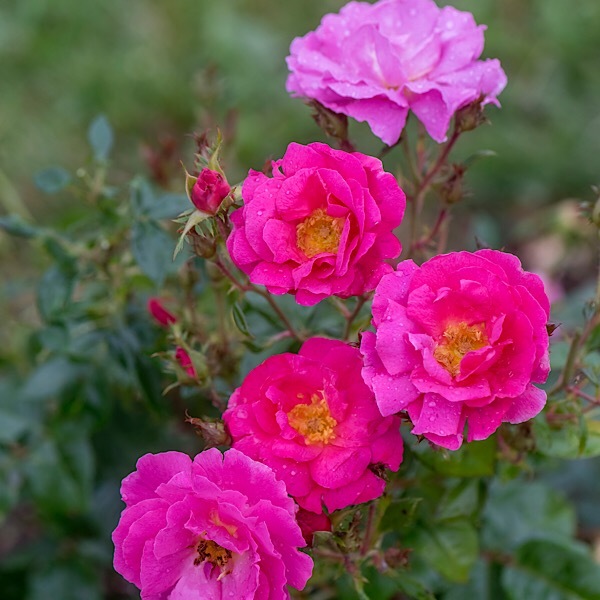 Trials of this type are open to rose breeders around the world – from professional to beginner. 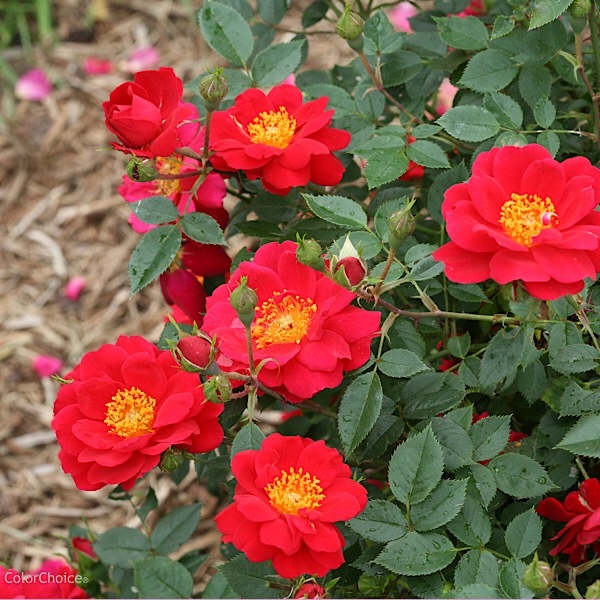 Competing roses are evaluated for overall health and rigor; fragrance; disease resistance; and ability to repeat bloom. Since 2011, Biltmore’s Rose Garden has been home to the trials in which more than 200 varieties from growers and breeders worldwide have been planted and cared for by Biltmore’s expert horticulturalists. Each trial lasts two years and a permanent jury judges the roses four times per year. During this year’s competition, the international and permanent juries have conducted the final round of judging for the trial group of roses planted in 2016. The gardens are managed by Biltmore horticulturalist, Parker Andes. Located in Asheville, North Carolina, Biltmore was the vision of George W. Vanderbilt. Designed by Richard Morris Hunt, America’s largest home is a 250-room French Renaissance chateau, exhibiting the Vanderbilt family’s original collection of furnishings, art and antiques. Biltmore estate encompasses more than 8,000 acres including renowned gardens designed by Frederick Law Olmsted, the father of American landscape architecture. Today, Biltmore has grown to include Antler Hill Village, which features the award-winning Winery and Antler Hill Farm; The Inn on Biltmore Estate; Village Hotel on Biltmore Estate; Equestrian Center; numerous restaurants; event and meeting venues; and Biltmore For Your Home, the company’s licensed products division. To learn more about Biltmore, go to www.biltmore.com or call 877-BILTMORE.